These qualities are valued in a vast number of jobs and professions. They have particular relevance for those interested in a career in the fields of education, teaching (primary and post primary), law, journalism, Human Resources, administration and many other occupations. 20% of the assessment grade in RE is awarded for Coursework. 80% is awarded for performance in the terminal examination. Coursework involves the student choosing one of four prescribed titles for extended research. Coursework is submitted prior to the terminal examination. 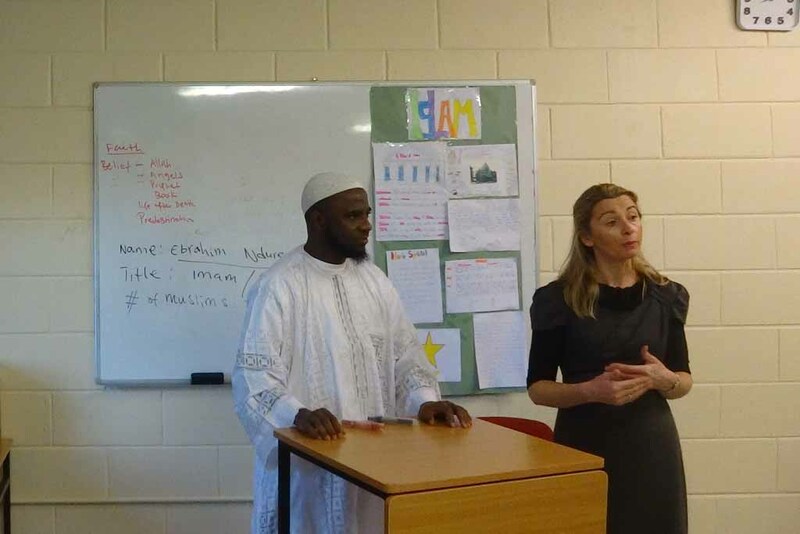 On November 12th, 2013, a very interesting presentation outlining the importance of religious practice for the Muslim community was hosted by Ms. Kehoe's 3 Colmcille class and sixth year exam religion students. 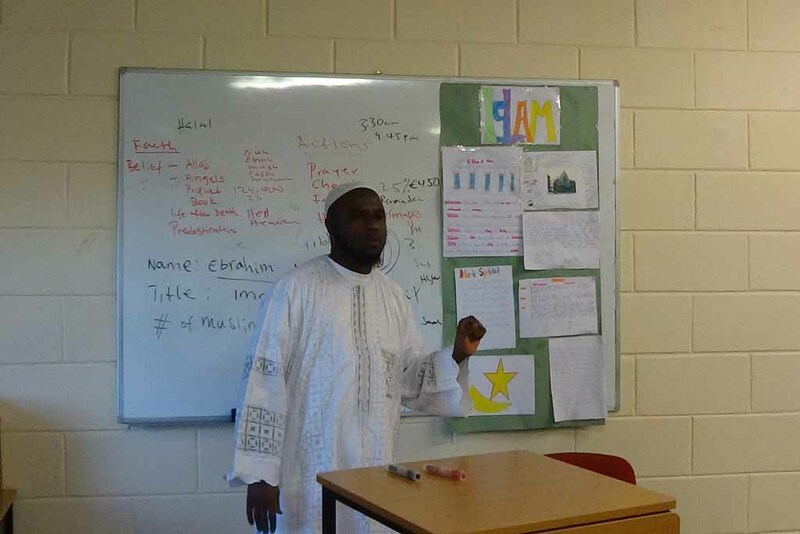 The local Imam in Kilkenny, Ebrahim Ndure, gave an insightful overview of the Islamic religion. Currently, there are more than five hundred Muslims in the community of Kilkenny. The students found is very engaging and informative.